As most of you will already know I work in PR and social media (and LOVE it), and I also, obviously, run this blog! It's so fun being both sides of the e-mails and I really enjoy interacting with fellow bloggers as well as fellow PR companies! In my time within this industry I have talked to many fellow bloggers (and yes they are all total babes)! When it comes to contacting and organising bloggers, I have noticed there can be a few things that hinder a company or brand getting the information they need so I thought why not write out a few TOP things for you guys to ensure you are including all the information that's needed! Yes, you would think this would be a total given, but yet there are still blogs out there where there is actually no indication at all of what the writers name is. I hate having to write "Hi there" in my e-mails and one of my personal pet hates is getting e-mailed "Dear ayellowbrickblog". I mean fair enough if you want to keep anonymous or not use your real name, but make sure there is something that we can call you by! I have been on Blogs, Twitters, Instagrams and more of the same person and still have no clue what their name is or what to call them! It is always fabulous to have your social media channels in plain sight on your blog and even better if your followings for each are showing! Being able to find all your platforms in one place is a life saver.... believe me! UK? North, South, East, West? Now this one is handy for event invites! If PR companies are looking for bloggers in a certain area it's great for them to be able to see if you are close enough or not! I'm not saying give up your street name, postcode or even town but just the area you live in makes it so much easier for PR companies to send you relevant e-mails that may be of interest to you - Manchester, London, North West, South East, Isle Of Wight.... it's always good to know - even if it's just on your Twitter or Instagram! 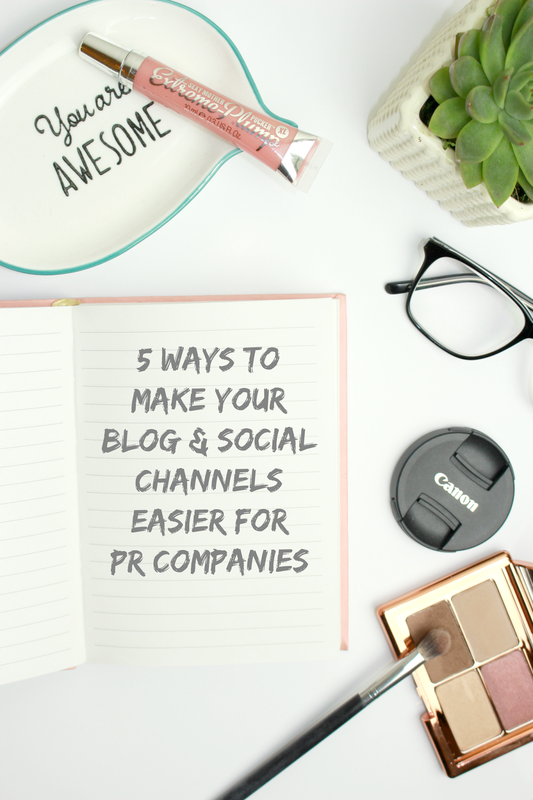 It's all well and good finding your blog and loving your content - but if you want to be involved in PR opportunities, having your e-mail address prominent on your blog/social is essential. Including it in your social media bios is also perfect - it makes life ALOT easier and saves so much time. Having a search option within your blog is also a fantastic addition and useful tool for people looking to work with you. It gives them access to be able to find any relevant content you may have created previously. These may all seem SO super obvious but you may be surprised to know I sit there weekly looking at blogs unable to find names, e-mail address or even if they have a Twitter or not! Do let me know if you'd like any other PR themed posts, or maybe if you have any questions at all! These are such lovely tips ! Really enjoyed reading this post, can't wait to use it when I re-launch in May (uni first!). fab tips! Reminds me, need to update my about me page! thanks for these tips girl! Great blog post! I have to use a contact form though as sometimes I get dodgy emails!